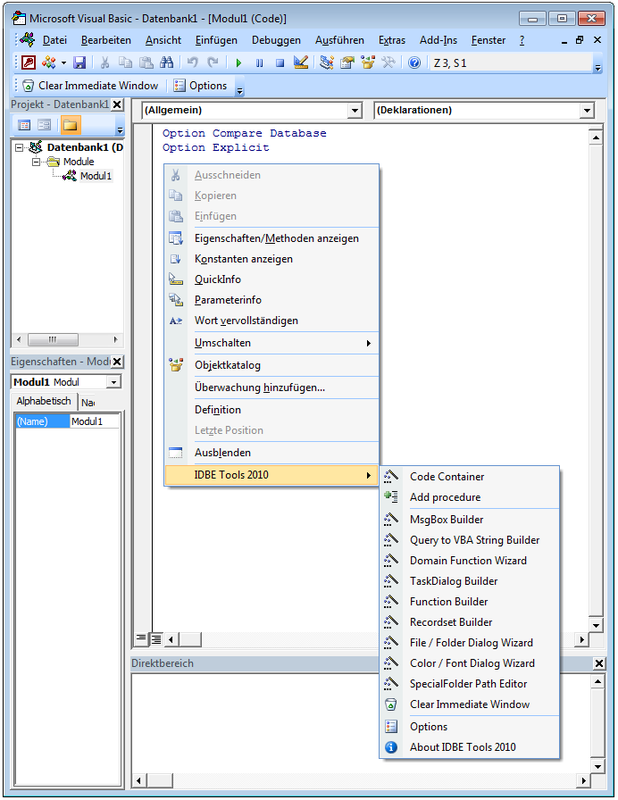 The IDBE Tools are available on the context menu by a simple right click anywhere in the code area. In Access 2007 and Access 2010 all functions are available. In any other Office applications only these wizards are available, which do not use objects confined to Access only, or expect either the installation of Access 2007 or Access 2010. Clicking on "Clear Immediate Window" will clear the immediate window. You can also reach this functionality by the button "Clear Immediate Window" on the menu bar.